I will be the first to say, this has not been the best week. Pop icons have died. Our beloved Church has been smacked down by our supposed brothers and sisters. Personally I have not been the best physically. And no one here won the lottery. But if you did, the Stewardship Team would love to take you to lunch today! And the readings this week, they are an interesting mix. We see Jesus turning water to wine. We hear Paul speaking of the gifts of the Spirit. We hear God calling those who were sent out back home. All nice. But nothing earth-shattering or surprising. Not at first glance anyway. You see, looking at the week we have just had, and looking at the Scripture passages for this week, what comes out to me is not the jump up and down hurrah, but that the closer we get to the messiness, disappointment and problems of life, the more we zoom in on it, we see that God is already there, no matter how minute our range of vision. If we take our spiritual telescope, God is waving back at us from across the galaxy and if we take our spiritual microscope, God is present and affirming and calling us home. You see, to be intentionally vulgar for a moment, God gives a damn. For the rest of the sermon I will suffice it to say that God Cares. But, you will know what I mean. Does the death of David Bowie really truly affect me? Yes and no. My whole life he was a fixture. He starred in movies I liked, was on tv I watched, and many of his songs are present on the soundtrack to my life. Alan Rickman, my favorite bad guy bar none. Die Hard or Harry Potter, I loved how good he was at being bad. I will miss them both. But does God care? Yes. God does. God cares that I care, because we have a caring God. When my daughters cry in a movie my heart is touched, and I may even get choked up myself. I love them, and I love that they love and care and have depths of emotion in them. You think it is any different with God, who loves us even more than I love my kids? God cares because we care. Jesus had to put up with it, too. At the wedding we see Jesus hanging out with the disciples he had, and his mother. His ministry had started, but had not gotten into full swing. While there, Mary points out to Jesus that they had run out of wine. And then he so pointedly declares: "Woman, what concern is that to you and to me? My hour has not yet come." But for whatever reason, and maybe it was because his mother cared so much, Jesus steps out of the normal and performs his miracle, revealing his glory as the Scripture declares. She instructs the servants to just do whatever he tells them to do. They do, and the result is that here is declared the Good Wine. What came before the guests thought was good, but this, they saved the best for last. This story, as I have said, may seem insignificant, but the joy of the story, the heart of the story, is that Jesus cared. He cared about the groom’s embarrassment. He cared about the servants fear of being in trouble for not being prepared. He cared about his mother, and her worry over the matter. Jesus cared, and in his caring, the miraculous happened. People just do not believe in miracles any more. Jesus did not care, and shows us so when he asks his mother what business is it of hers or his. The underlying assumption of this whole sermon is that God cares when we can all think of so many times when horrors took place, and we did not see God at work. ONE: You may think that people do not believe in miracles any longer, and that they are no longer relevant. But I have news, that is pretty incontrovertible. How many people thought this week that they could make $2 turn into $1.5 Billion? I heard all kinds of analogies. If 1,000 chances were pennies, and all those 1,000 chances were stacked up as tall as the Empire State Building one penny yanked out would still be 1 in 1,000 chance. Or if you had a banana for every chance, the bananas would wrap around the entire globe at the equator and then continue to stretch into space for another 10,000 miles of bananas. Needless to say, there was a lot of hope stretching out Wednesday night that a few bucks would put somebody well into the 1%. Tell me people do not believe in miracles. They hope and wish and pray for them every day. But maybe the sad part is that they do not anticipate them any more. There were a lot of people praying, hoping for the miracle of numbers this week. And please hear me, we should not plan, prepare or budget with a miracle in mind. But as we often joke about on Thursday mornings at our Food Pantry, “We are in the miracle business.” Like Miracle Max from Princess Bride. Maybe the miracle of today’s world is seeing God at work when the world is screaming otherwise. TWO: Jesus obviously said he did not care about the situation, and told his mother as much. Now trust me, I am going to bring this story back to Jesus. I loved the acting of Alan Rickman, and in reading articles about him this week, I learned something new. When he was portraying Severus Snape in the Harry Potter series, they started filming those after only three of the books had been published. In the early books his character is seen as horrible, and the worst sort of teacher imaginable. Early on, author J.K. Rowling pulled Rickman aside and let him know some things. Ambiguous. Vague. But enough with an actor’s imagination to run with. It was said that with more than one of the directors of the movies, he refused to follow their instructions citing, “I will not do that. The character would not do that. I know things that you don’t know.” You see, throughout all the nastiness and meanness he had to portray, Alan Rickman had to have the end game in sight. He had to make sure that he was consistent and true to the outcome he was to have. And now, we bring it back to Jesus. I tend to see this in much the same light. Jesus did not live up to anybody’s expectations about what a Messiah was supposed to be, not even his mother’s. Jesus may have been about his father’s work, and yes, maybe it was vague and ambiguous to him at this point, or crystal clear. We do not and cannot know. But he did know that winemaking was not he had come to do. But his mother asked. Who knows whose wedding this was? It could have been close friends or relatives. How do we know that Jesus cared? He did it. Even though it may have been off the grand scheme or vision he had of his calling, even at a party he was able to do good, even though it was none of his business. THREE: Jesus may have cared, but how can I say God cares when all of us can point to at least 100 times when when bad things happened and we wondered where God was. And this whole conversation is brought together in the theological term Theodicy. A simple way to think of it is the problem of evil. While there are many approaches to this question, for me it is not so much as to why evil exists but rather why isn’t there more. For me, my eyes of faith see it very differently than “Where was God when bad things happen?” I see it more from “Where might things have gone if God had not been at work?” I believe this is more than the glass is half-full or half-empty argument. It is the idea of the miraculous. God is at work, right here, right now. It is the difference between wine and the Good Wine. Think about it. Most of us live lives of moderate choice, moderate ease, moderate affluence, especially in comparison to most of the rest of the world. In this party we call life in Richmond in 2016, we expect wine. We expect to be comfortable and cared for. When God steps in though, we begin to get a taste of the Good Wine. The Special Reserve has been brought out. There is a substantive change. While we could have settled for what was, when God steps in the old is past and the new has come. For Jesus, this was why he did not step forward. His time had not yet come. But he was brought forward nonetheless, and God’s way broke through. The good became the best. Even at a wedding celebration, the world was turned upside down. The best comes out after the mediocre. For me, that is the miracle. How we see what it is that we are about. If I view much of my life without the eyes of faith, it could be seen as Myah. However, the riches of the gifts of the life of faith are far greater than I could have hoped for or imagined. Thanks be to God. Like turning the ordinary into the extraordinary, Jesus took water the most basic of things and made the extraordinary. Maybe the miracle that can happen for all of us is to see the miracle in the mundane. Our perception can be that we have been given the Best when all we expected was more of the same ole’, same ole’. Those who have eyes to see, let them see. Amen. There are only a few times when I have had my choices more resoundingly confirmed. Yesterday was one of those. I became an Episcopalian by choice, losing many friends and connections because of that choice. Becoming an Episcopal priest only strengthened those beliefs and cemented me further to my new Church. Despite any losses, what I have gained is far greater, a sense of belonging to a church that believes in an all-inclusive love by a church that chooses to make the choices to affirm and defend a gospel of Grace. The issue now is homosexuality. Before it was gender. Tomorrow will be something else. But what it boils down to is this. Do we believe in Grace? Do we believe that God loves us where we are, no matter where that is, and does God pick us up, clean us off, and call us to be our best selves, loving us constantly and consistently through all of it? Because I can only scream YES to that question, I have to err on the side of Grace, if choosing Grace is ever an error. As soon as we humans slap any type of caveat, exception, division or whatever on the extent of God's love and Grace it ceases to be either. Grace is what marks the distinction of our faith. Were I to preach a Grace with any limits, it ceases to be Grace. It has become Mercy, which is wonderful and powerful for those who receive Mercy. Grace with limitations is Mercy. Judaism offers a God of Mercy. Islam offers Allah the Compassionate and Merciful. But I believe in something a little bit more. Endless, ceaseless and amazing. Grace. The Anglican Communion may choose to exclude the Episcopal Church, but I do not think that that will be the direction of this decision in the long term, and that history will arch towards Grace. Read all of Scripture, it has since the beginning. I truly believe that the God of Grace I preach, teach and believe in isn't finished with any of us yet. Prayerfully I look forward to the prompting, leading and responding to the Holy Spirit in the days and years to come. My all our days, whatever self-declared "camp," be Grace-filled. Happy New Year! According to the Roman Calendar. But we keep a different calendar. Our Church Year began on the last day of November, which we called Advent One. And with it, we began Year C of our lectionary readings. We are a funny people, and we follow funny ways. But we are called out, called out to be special, called out to be a holy nation, called out to be a royal priesthood to God on High. The word we use as Church in the New Testament, ekklesia, literally means the “called out ones.” It is where we get the word ecclesiastical. So when we look at our new year, whether a month into it, or 3 days, we are looking at a beginning. And often I, like a lot of people, use the turning of a fresh page in the calendar to take a chance to evaluate and take an assessment of where I am and where I want to go, even who I want to be. 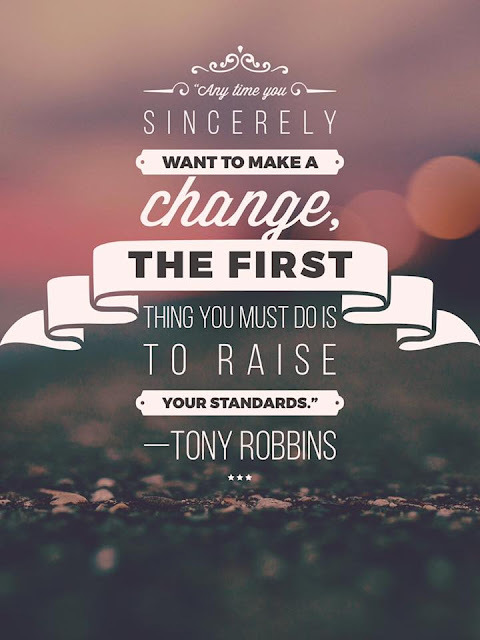 I saw a great quote this week about change. Today we celebrate the Epiphany, well, we observe it anyway. Epiphany, the eye-opening of the Wise Men, and through them the rest of the World, that this babe in the manger was the promised light to all nations, the Messiah, Christ the Lord. This enlightening of minds is exactly what we are going for in resolutions and promises to self at New Year’s. We say we want change, and we try to make steps to start right. Gym memberships soar, and attendance increases for a few weeks, until the glow of the best of intentions wears off. The thing about this Jesus, we have to go away different from the way we came. We can make all the promises we want, we can have the best of intentions, but if we start out back the way we came, we have not truly changed. Every week I see it here at St. Thomas’. I also see how caring and loving you all are. We know we are unique, and maybe a bit weird. That’s St. Thomas’, and I would not have it any other way. You wait patiently for Susan and me to take care of those at the altar and then after the ushers give you the go ahead, you come up to the altar. As you come to the altar rail for the Eucharist each side naturally forms a line. But here is where someone new gets very confused, especially if they are sitting near the front. When done, someone new does not know how we do it, stepping not back the way you came, but down into the Petrick room and back out into the hallway and then down the side aisle back into the church. Most every week, someone tries to go back down the center, which is now filled with two lines of people, very gracious and helpful people, but it can be confusing. When we go to meet Christ, wherever he is, we must return differently. However we see it, we are called to radical, wholesale change. No ifs, ands or buts. We, like the Wise Men, are called to go home another way. But what does that mean? Really. Deep down what does that mean? When I come to the altar, and meet Christ how can I make a real and substantive change three times today? This morning, this afternoon at Floyd’s service, and tonight at Bluegrass Mass? I do not think I can, or anyone could. But I do think when I come to meet Christ here at the altar, or in my prayers, or in my service to him, that I can have an attitude of asking Christ in His Real Presence to show me where I am off his path and how to get back on it. I can be open to his correction, and work to enact it in my life. I can have an attitude of being one who is always learning instead of one of being an authority all the time. When I first became a priest after so many years of being a pastor in another denomination, I was surprised and shocked about some things. I had an epiphany if you will. When I was a pastor, people often asked my advice but I was only one voice amongst many that they were listening to in their situation. But as a priest, I had several people say something to the effect, “Just tell me, and I will do whatever you say!” That is a lot of responsibility, and one I still am not used to to be honest. Most often my response to that is, “Don’t say that to anyone!” And then we proceed to have a conversation and pray about things. Instead of a director or a conductor or a coach, I feel like I am more of a player/coach. I am at bat and in the field, just like all of you. I must be doing it alongside you. At times you take the lead, and at times I do, but we are all doing the best we can while we can doing what we can. That analogy far better fits how I see how we are doing church together. Instead of looking at all the things we are doing wrong, the THOU-SHALT-NOTs, I think our approach can be more like the quote from St. Augustine of Hippo, “Love God and do what you will.” If we are truly loving God with all our heart, soul, mind and strength and our neighbor as much as ourself, then our attitude is always about being the best we can as an offering to the one we love most. And that is our epiphany! That this babe, this humble, simple babe came into our context to help us change our experience so that we might be called Children of God. Wow! Think of how that changes everything! When I was in graduate school, there was a Japanese word that was used as a buzzword in consulting situations. Kaizen. Constant improvement. While it became trite and cliché in the business world, it was always something that stuck with me because it resonated with my understanding of discipleship. I was instructed in the way of Christ, so that I could walk the way of Christ, and in doing so invite others to join in Christ’s way, and that together we could continue in the transforming of our minds so that more and more we could be like Christ in what we say and how we say it, in what we do and how we do it. Kaizen. Constant devotion and discipleship leading to further and further Christlikeness. It was no accident that the early Church members in Antioch were made fun of and called Christians, which means little Christs. When was the last time I was accused of being a little Messiah? Probably too long. God help me. God help us all. So today we come, and maybe you expected to meet Christ here, or maybe you did not. Whichever, Christ is here, waiting, wanting to meet you, and in doing so, enable you to go home different from the way you came. To quote a favorite song of James Taylor, “Maybe me and you can be Wise Guys too and go home another way.” Amen.